Competitors line up their cars for a test run before the start of Wednesday night Pintwood Derby races at Right Brain Brewery. Races are organized by brackets, leading to a nightly champion. 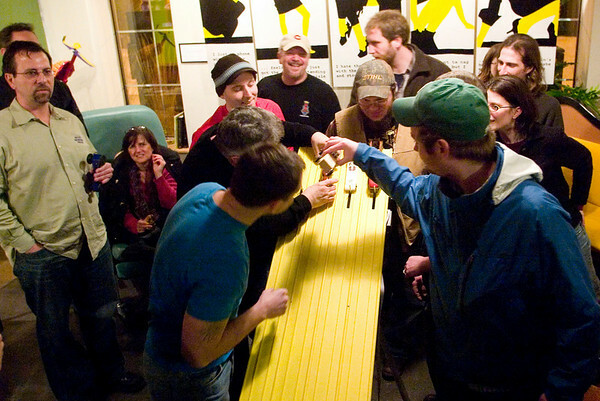 Points are awarded for the races, as well as aesthetics, towards The Beer Cup series championship.